Craft beer movement is big and getting bigger by the moment. Two shrewd Californian fellas, Tim Obert and Clint Potter, decided to ride the wave and take it up a notch. Several notches of ABV to be precise. The math was simple for them. They love craft Beer and they love good Whiskey, and since both are basically the same thing—speaking ingredient-wise—why not make one out of the other? Okay, okay... it’s not a totally new idea, because most whisky distillers use “Beer” for base, but this Beer isn’t the end product you can find on the shelves and in bars. There’s no hops, no spices, the malt is never roasted… you get the point. 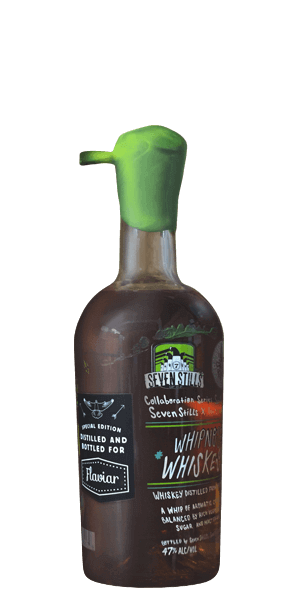 At 7 Stills Distillery, they focus on making Whiskeys from extremely high-quality craft Beers and this IS a unique concept. Where does the 7 come from? Well, it’s one still, one craft beer and one Whiskey for every hill of San Francisco. Savvy? Savvy. They pour their hearts into two projects: the Seven Stills Series and the Collaboration Series. The first will consist of, you’ve guessed it, seven Whiskeys they’ve developed their own sweet craft beer for. The Collaboration Series, on the other hand, are Whiskeys made from commercially available beers and here’s where Whipnose comes in. Whipnose is distilled from the Pacific Brewing Laboratory’s Imperial IPA that carries the same name. The Whiskey opens with huge whips of west coast hops. When we think of it — it’s IPA in a nutshell, the purest essence of hoppy Beer, but without the bitterness that comes with it and with a sweet maple sugar finish. It’s not for the faint of heart or the delicate of tongue, and it invites endless exploration into a truly unique style of distilling. What does 7 Stills of San Francisco Whipnose taste like? The Flavor Spiral™ shows the most common flavors that you'll taste in 7 Stills of San Francisco Whipnose and gives you a chance to have a taste of it before actually tasting it. IPA all the way - long with hops, spice and slightly bitter oak. I love the fact they've retained so much of the beer in the finished product. Wow. For the beer lover.